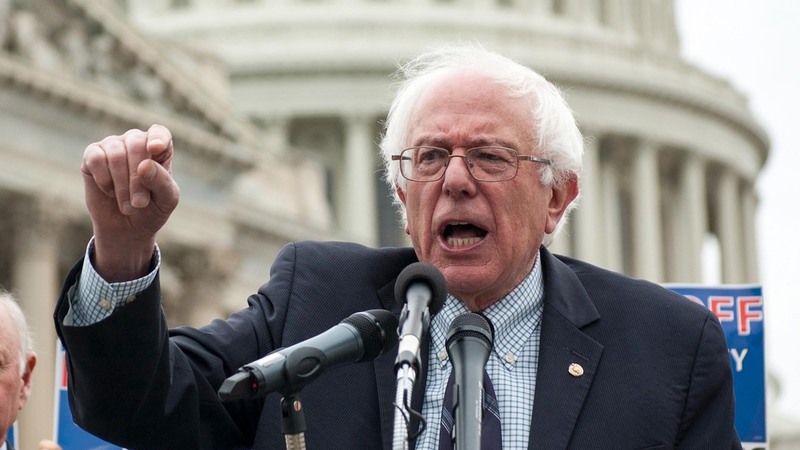 Bernie Sanders and the national independent movement are in a bind. So says my friend, colleague, and President of IndependentVoting.Org Jackie Salit in her recent Huffington Post piece titled “Bernie, We’re in a Bind”. You nearly won Iowa, you crushed it in New Hampshire and came within a hair's breadth in Nevada. How? By carrying independent voters who chose a Democratic ballot by huge margins. Sixty-nine percent of independents in Iowa. Seventy-three percent of independents in New Hampshire. Seventy-one percent in Nevada. That's where your competitive margin is coming from. . . .
. . . I know the second that you acknowledge the importance of independent voters to your campaign -- and to this country -- you will be attacked for not being a loyal Democrat. That could hurt you with the Democrat base.
. . . I don't know how you intend to translate your independent support into a movement for the kind of systemic electoral change that our democracy requires. The parties are not the be-all and end-all of representative democracy, and Americans everywhere are chafing at the constraints of parties, partisanship and ideology. Your bind ties you to the party system and all the ways it is rigged. This limits my ability to move independents in your direction. Taken together, our respective binds hold back the political revolution. . . .
Bernie, we're both in a bind. You need the support of independents to succeed. We are giving it freely. We need your support for a true democratization of American politics. Can you play that role? Can we find a way out of this bind? It’s easy to forget this national struggle at times in California. After all, we passed major reforms that have allowed all voters - especially independents - to participate equally. As my friend Jason Olson wrote in his report on the impact of the Top Two Nonpartisan Primary, California has been transformed. At the same time, and as much as many of us Californians sometimes like to think we are, we’re not separate from the rest of the country. We’re very much impacted on in our daily live by the terrible partisanship and dysfunction that is roiling the country. There’s so much work to do in order to address Jackie’s “bind” that the entire country finds itself in. Over the next couple of months, we’re going to be reaching out to our network around the ways to impact on the critical fights going on all over the country. In Arizona and South Dakota, independents are leading the fight to pass ballot measures for reforms like Nonpartisan Primaries, campaign finance, and redistricting reform. In states around the country independents are fighting to get organized, be heard, and make an impact. We’ll be in touch soon . . . in the meantime please share this piece with everyone you know. Eunice Stronger is the Outreach Coordinator for IndependentVoice.Org. She is a long time independent activist and political reformer who led ballot access efforts for independent candidates in some of the most challenging states in the country. She helped found IndependentVoice.Org in 2002, and has recently led organizing efforts to demonstrate the impact of independent voters in the new nonpartisan system, and to work with the Country Registrars of Voters to educate independent voters about their right to participate.